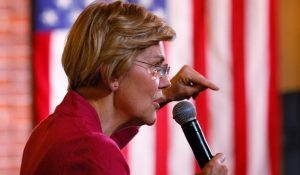 The article above explains how Elizabeth Warren is out to impose a wealth tax on property in addition to raising income taxes. This article explains how even the wealth tax proposal is just the tip of the spear. Warren has an even more radical hidden agenda to destroy the wealthy as a class in the same way that the French Revolution, the Russian Revolution and Mao Zedong engaged in class warfare to destroy the rich. During the Russian Revolution, V.I. Lenin said, “How can you make a revolution without executions?… We shall return to terror and economic terror.” Lenin and Stalin together were responsible for the deaths of 5 million “kulaks” (lower middle-class property owners) to enforce their revolutionary vision. Mao Zedong was responsible for the deaths of tens of millions of Chinese during the “Great Leap Forward,” another radical economic program. The Nazis starved 10 million Russian prisoners of war (more deaths than the Holocaust) to implement their economic program of Lebensraum (expanded territory) for the German people. No doubt, Elizabeth Warren does not have mass execution or starvation in mind. But her basic idea of seizing assets from the wealthy on grounds that the wealth is unmerited is not that far removed from the economic teachings of Lenin, Mao and Hitler. Warren is one of the Democratic Party frontrunners for the 2020 presidential nomination at a time when Trump seems vulnerable. If Warren gets elected and the state comes looking for your property, don’t say we didn’t warn you.